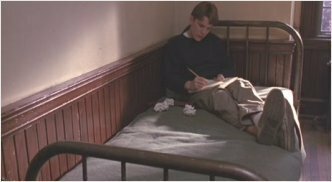 Todd Anderson. . Wallpaper and background images in the Dead Poets Society club tagged: todd anderson dead poets society dps. This Dead Poets Society photo contains living room, living room, sitting room, front room, parlor, parlour, family room, parlor, and parlour. Pink hat in, tie out! Which Dead Poets Society Character Are You?